Shillong is the capital of Meghalaya one of the smallest state in the northeastern part of India, it is also known as a hill station. Shillong city is governed by Municipal Corporation which comes under Shillong Metropolitan Region. Shillong has steadily grown in size since it was made the civil station of the Khasi and Jaintia Hills in 1864 by the British. The name “Scotland of the East” is given because It is said that the rolling hills around the town reminded the European settlers of Scotland. As per the Census report of India, population of Shillong in 2011 is 143,229; of which male and female are 70,135 and 73,094 respectively. Although Shillong city has population of 143,229; its urban / metropolitan population is 354,759 of which 176,725 are males and 178,034 are females. Christianity is most popular religion in Shillong with 46.49 % of city population following the same. Hinduism is second most popular religion in Shillong city with 41.95 % following it. In Shillong city, Islam is followed by 4.89 %, Jainism by 0.13 %, Buddhism by 0.74 % and Sikhism by 1.14 %. Around 4.50 % stated ‘Other Religion’, approximately 0.16 % stated ‘No Particular Religion’. Khasis make up the majority of the population at 65.22% according to 2011 census. 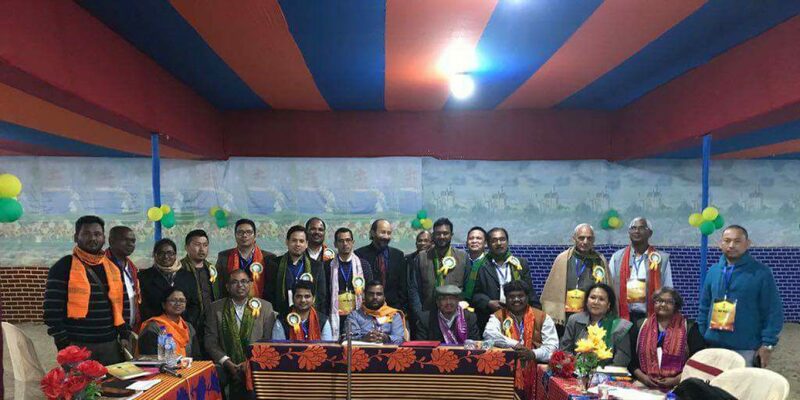 All the other North East tribes such as Nagas, Garos, Pnars, Hajong people, kukis, Manipuris, Lalungs, Karbis and Mizos etc are represented here as well as significant numbers of Assamese, Bengalis and a bit of Nepalis, Biharis, Marwaris, Punjabis and people from other Indian states making it a fairly cosmopolitan city. Weather conditions in Shillong are typically pleasant, pollution-free. In the summer the temperature varies from 23 °C (73 °F). In the winter the temperature varies from 4 °C (39 °F). Shillong is subject to vagaries of the monsoon. The monsoons arrive in June and it rains almost until the end of August. October–November and March–April are the best months to visit Shillong. Although well connected by road, Shillong has neither rail connections nor a proper air connection. Umroi Airport located 30 kilometers (19 mi) from the city centre has only limited flights. National Highway 40 (India) : Connected to Guwahati. National Highway 44 (India) : Connected to Tripura & Mizoram (NH 44A).